All right, so my sister and her husband are one nomadic couple. It has been almost six years since they got married and they have been shifting from Delhi to Hyderabad To Mumbai and then back to Delhi. Last year in November, they finally decided to move to Bangalore. My brother-in-law got the coolest job there. And this time, my sister decided to start afresh rather than shifting her job. 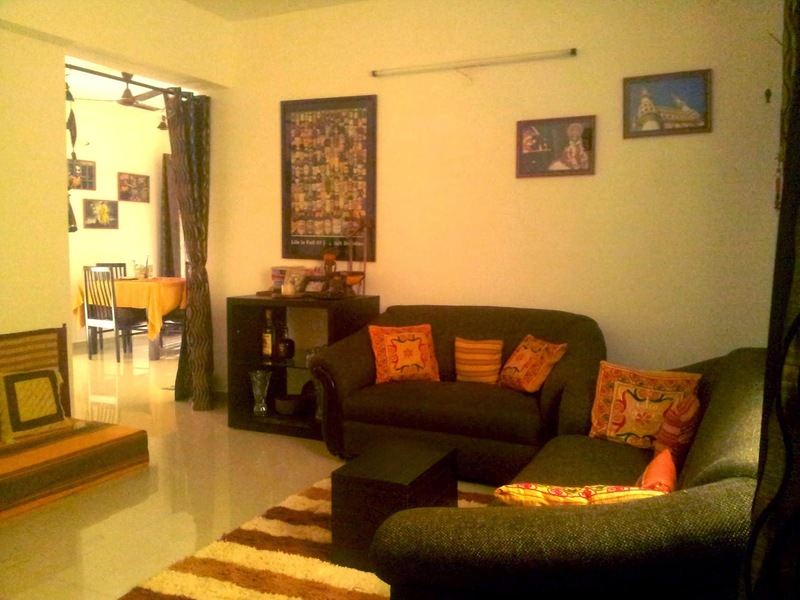 So she left her job in Delhi and decided to dedicate all her time to make a home there in Bangalore. Her house hunt began from Delhi itself. 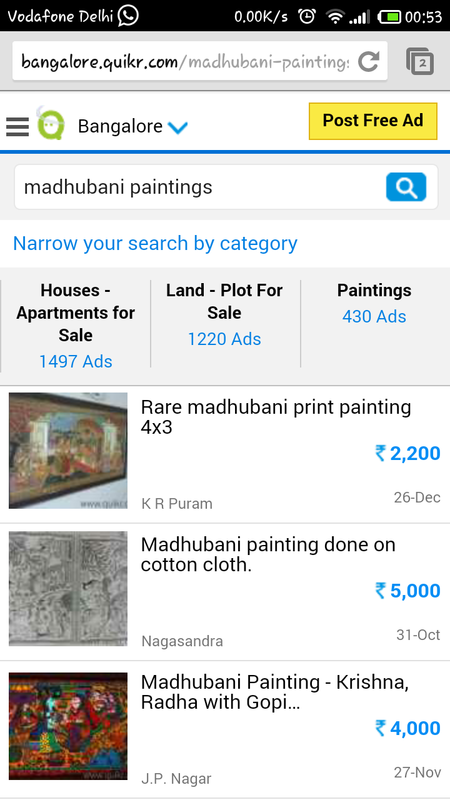 My brother-in-law flied down to Bangalore two weeks before so that he can hunt a house there. After lot of phone calls, video calls and loads of brokerage money, my sister and her husband found a home in Bangalore. And that was perhaps the easier part. My sister started freaking out about all the mover and packer thing. We all have to accept it that it is a pain to get all your stuff packed, transported and then downloading them at the destination and unpacking. And since these two love birds have been a pro in this, they also know that even if your things are insured, the damage is never covered and it takes another month to get all the things get right, in correct shape. So, this time, my sister decided to buy new things when she moves to Bangalore. And yes, she did. How? 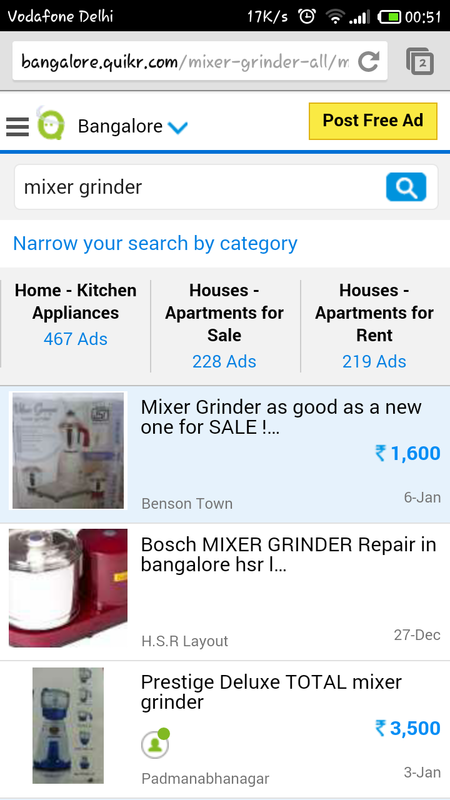 With the help of bangalore.quikr.com. 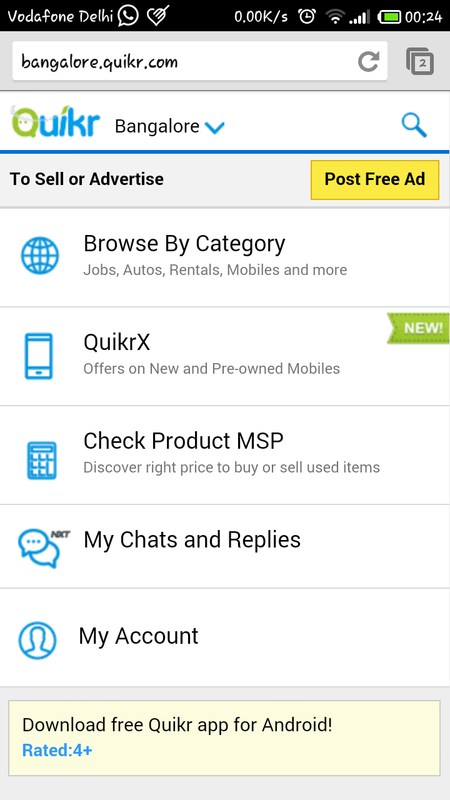 Now you see, we have been a frequent user of Quikr to sell our things. But we decided, why not buy things as well. And this is certainly pretty convenient for the forever wanderers like this couple. They buy things, make a home and then sell them off before shifting to another city. I mean seems logical too as we know that the standard rate of shifting everything is almost near 1 Lac Indian Rupees. In a fully furnished house, one usually looks for some other basic things like the dining table, some good ornamental things to add the aesthetic value to the house, some appliances of daily use like a mixer-grinder and sorts. My sister did the same and man, wasn't it so easy. 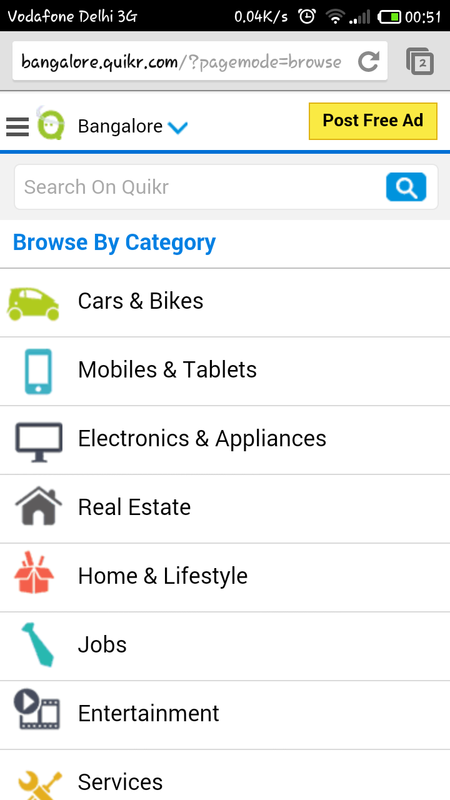 And yes, it saves one person from so much of hassles of roaming around searching for the right object. So I recommended my sister this wonderful website. The website is very user friendly and easy to navigate. The various actions that can be taken are very clearly mentioned. 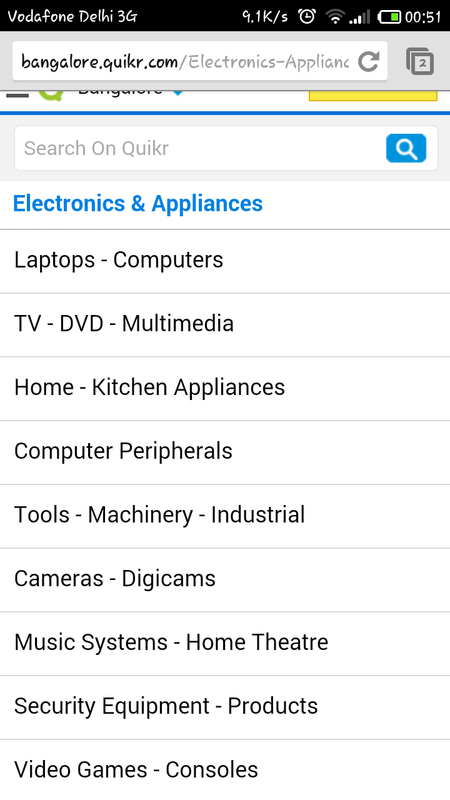 One can look for items to buy by searching by category. 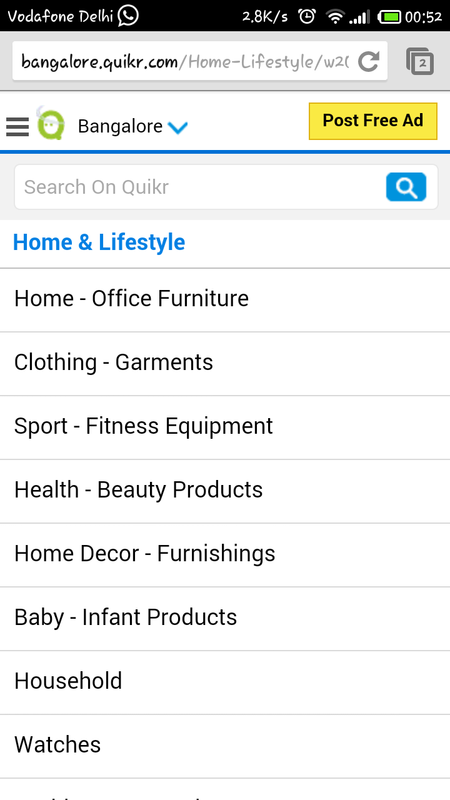 Switching between the categories is simple too and the browsing for things you want and like is pretty much fast. 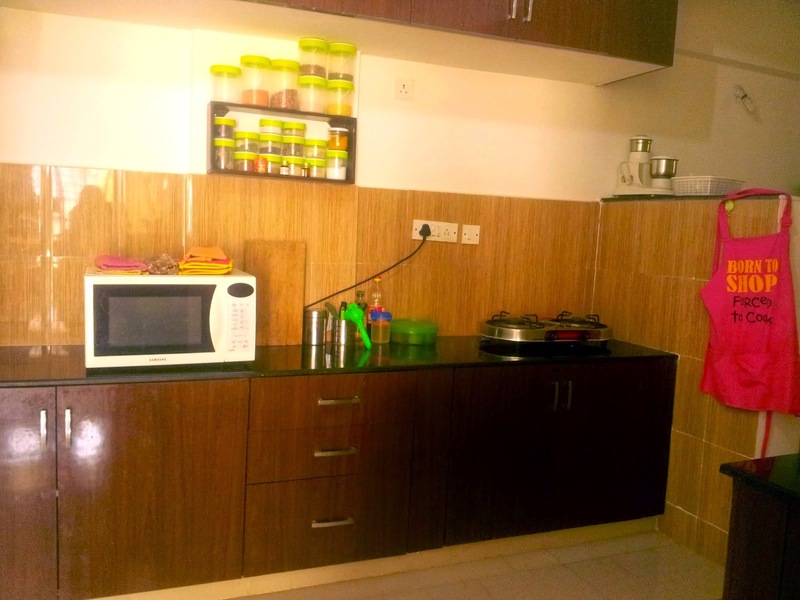 After spending few of her lazy days sitting at her new home and browsing bangalore.quikr.com, my sister finally made her fully furnished house a home. Like my sister, I recommend everyone this website. It is easy and convenient.